If you are anywhere near or in the northeast coast, then you are in the same boat as me and bundling up with as many accessories as possible. We've reached the deep freeze here in Montreal after a snow storm followed by an ice storm. The streets are covered in ice and some have even been seen skating around on them. That is no joke! 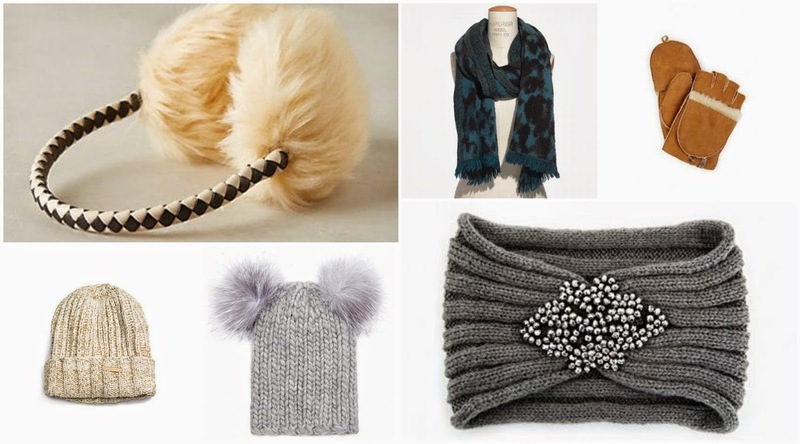 If you are anything like me, always freezing and looking to add as many layers as possible to stay warm, then these accessories with do just the trick while still maintaining your style. I kept them neutral so that it's easy to pair with your coats and jackets. It is freezing here in MN, I could probably use at least 2 of these at the same time. They are all adorable, especially those ear muffs! The earmuffs are so pretty!